At Seneca Hickory Stick we will create a wedding that you will never forget. 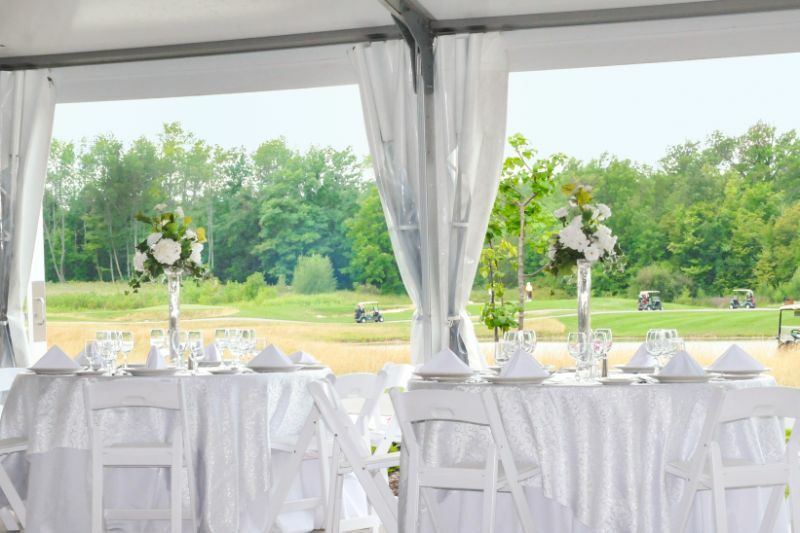 With our outdoor setting and the gorgeous view of the course, the location is great for a summer wedding. Our staff is professional and friendly and will do everything to make your day the most memorable that it can be. We will work with you to make sure every last detail is perfect. From the food to the set up of the tent to the linen colors, we will be available from the start of the planning until your big day has come to an end. We look forward to working with you to make sure that special day is just right.